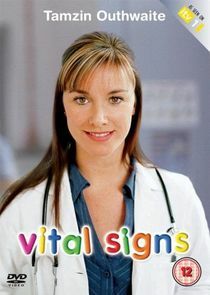 Vital Signs is a British television drama series airing on ITV from 2006. It stars Tamzin Outhwaite as a supermarket check-out operator who decides to become a doctor. The series co-stars William Beck, Fraser Ayres, Eve Best, Claudie Blakley, Lucinda Dryzek, Beth Goddard, Alfie Hunter, Brooke Kinsella, Harry Lloyd, Peter Rnic and Steven Waddington. The filming of the show is based in numerous London hospitals and medical schools; predominantly the show has been shot in St George's Hospital and Medical School.